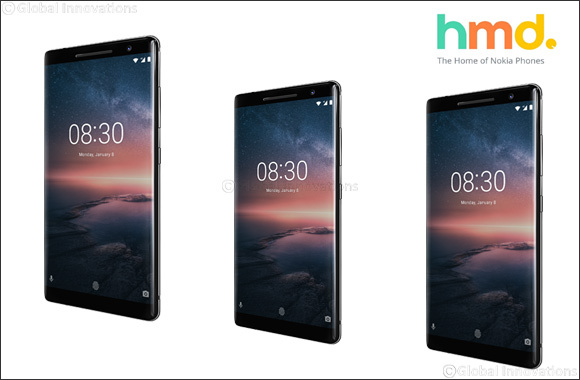 Dubai, United Arab Emirates, 9 January 2019: HMD Global, the home of Nokia phones, has today announced that the Nokia 8 Sirocco will now begin receiving the latest Android operating system, Android 9 Pie. The Nokia 8 Sirocco is an ultra-compact, beautifully designed powerhouse, blending Nokia's premium craftsmanship with effortless performance. It takes creative storytelling to a new level, with its ZEISS optics and perfectly tuned acoustics. Nokia 8 Sirocco users using Android 9 Pie will enjoy improvements to their smartphone experience based on their daily phone use. This is due to features like predictive system navigation, which adjust and anticipate each user's personal needs.